NO CARPET! New Vinyal Plank Floors and Stainless Side by Side Refrigerator. 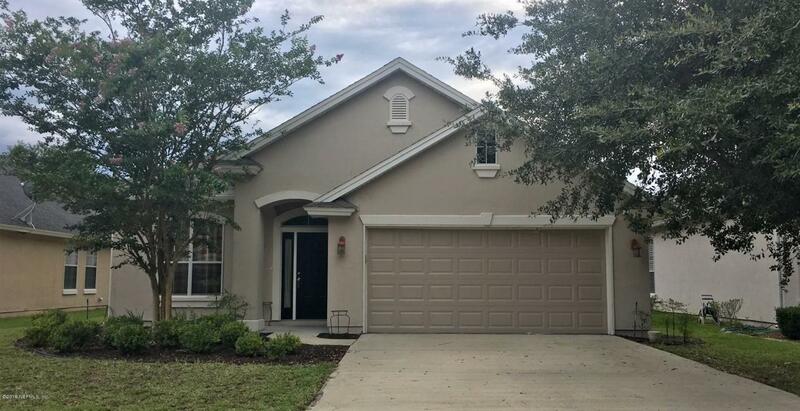 This beautiful 4 Bedroom, 2 Bathroom home is newly painted throughout. This is a Split Bedroom plan offering a separate Workstation Area, Formal Dining Room, Eat Space Kitchen with Breakfast Bar, Walk-in Pantry, 12 Foot Ceilings, French Doors and Covered Patio. It is conveniently located to Cecil Field, Navy JAX, Downtown and Jacksonville Int'l Airport. Panther Creek is a beautifully well-maintained community with tree-lined streets. All homes in the community are Full Stucco with Architectural Shingles. This one is a MUST SEE!!!! Realtor Owned.